CWI, CWI. (2015). 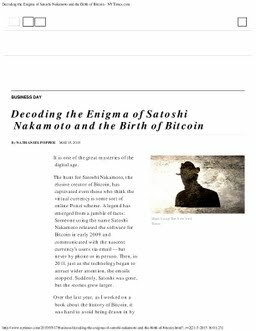 Decoding the Enigma of Satoshi Nakamoto and the Birth of Bitcoin - NYTimes.com .